Sometimes he sounds like music to her ears. Other times, not so much. Earp’s curiosity was sparked while an honors student at Emory, majoring in both neuroscience and music. She took “The Musical Brain” course developed by Paul Lennard, director of Emory’s Neuroscience and Behavioral Biology program. Perhaps your brain would enjoy some music while reading this. Here's a sample of Earp's favorite: "Firebird." As a senior last year, Earp received a grant from the Scholars Program for Interdisciplinary Neuroscience Research (SPINR), and a position in the lab of Maney, who uses songbirds as a model to study the neural basis of complex learned behavior. Earp reviewed studies that mapped human neural responses to music through brain imaging. She also analyzed data from the Maney lab on white-throated sparrows. The lab maps brain responses in the birds by measuring Egr-1, part of a major biochemical pathway activated in cells that are responding to a stimulus. The study used Egr-1 as a marker to map and quantify neural responses in the mesolimbic reward system in male and female white-throated sparrows listening to a male bird’s song. Some of the listening birds had been treated with hormones, to push them into the breeding state, while the control group had low levels of estradiol and testosterone. During the non-breeding season, both sexes of sparrows use song to establish and maintain dominance in relationships. 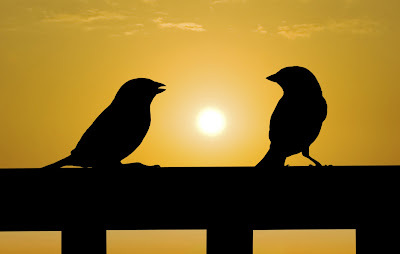 During the breeding season, however, a male singing to a female is almost certainly courting her, while a male singing to another male is challenging an interloper. 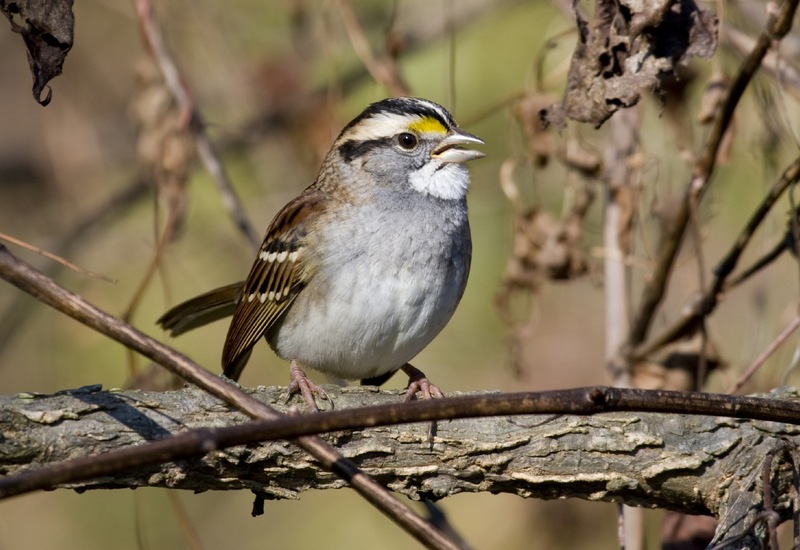 Justin Bieber, watch your back: A male white-throated sparrow belts out a tune. For the females in the breeding state every region of the mesolimbic reward pathway that has been reported to respond to music in humans, and that has a clear avian counterpart, responded to the male birdsong. Females in the non-breeding state, however, did not show a heightened response. A major limitation of the study, Earp adds, is that many of the regions that respond to music in humans are cortical, and they do not have clear counterparts in birds. “Perhaps techniques will someday be developed to image neural responses in baleen whales, whose songs are both musical and learned, and whose brain anatomy is more easily compared with humans,” she says. Earp, who played the viola in the Emory orchestra and graduated last May, is now a medical student at the Cleveland Clinic. So what music makes her brain light up? “Stravinsky’s ‘Firebird’ suite,” Earp says. Or perhaps the response of a male bird hearing a male song would be more like a man hearing Justin Bieber or One Direction, more of an irritation and knowledge that the song is competition in attracting females. I contend that, just as in Whale Song, Bird Song is merely a form of communication within a species. It tells a story of the animals life and History. The only association to Amygdaloid activities between males in Humans would be that a guy would find some irritation in listening to another guys history and would rather listen to a female (because then he may get lucky). I recall a study, I did in the late 80's, that showed that a bird adds to it's song from the song of the parents. This allowed for identification of family between birds.